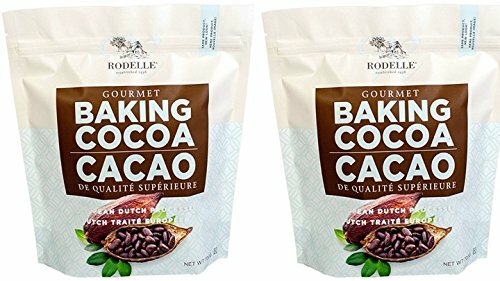 Our newest baking essential addition to the Rodelle family our Dutch Processed Baking Cocoa. Our baking cocoa is European Dutch processed for rich flavor and appearance. It contains one of the highest levels of cocoa butter on the market, ensuring superior flavor. The perfect ingredient to create rich, bold recipes like hot cocoa, fudgy brownies, and much more. Our Gourmet Baking Cocoa is 100% Cocoa. No extra additives, just cocoa processed with Alkali. Our cocoa is used by home cooks and baking professionals alike. We pride ourselves on using the highest quality ingredients to make our products. View More In Baking Chocolates, Carob & Cocoa. If you have any questions about this product by Rodelle, contact us by completing and submitting the form below. If you are looking for a specif part number, please include it with your message. Ghirardelli 100 Percent Unsweetened Premium Baking Cocoa, 8 Ounce - 6 per case.